Another year and we are still here and unfortunately growing. Austerity is the buzz word used in the press and certainly coming up to election time we will be hearing more about it, however you dress it up or call it different names, since 2009 some people on hard times have not all seen an improvement in their lifestyles or daily living expenses. Hence we are still here and providing a very needed service as now Derbyshire’s biggest provider of emergency food. Of course we couldn’t have done it without your support as volunteers/donors, let’s hope 2015 proves to be a turning point in peoples lives. I hear it quoted. It's cheesy. 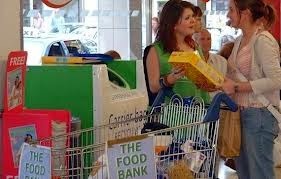 Unfortunately cheesy doesn't mean untrue, so while I may cringe at the sound of it I should always check myself against it; something I did just before the Foodbank first opened it's doors in June 2013. What needs does our community have? What provision is already in place? How can we support what is already going on? What can we practically and realistically seek to establish in order to meet the needs of the vulnerable in Chesterfield? I hope you don't misunderstand me, I am not suggesting that the Foodbank needs to run all these things. I am, however, saying that from this vantage point it is much easier for us to see the bigger picture than it is for many other frontline services. This puts us in a unique position as the Foodbank; one which I am praying into. Please pray that our prominence will grow in order to effect and support other services and for wisdom in making decisions about the future. Great! We are back in The Gates after having the fire damage rectified and an insurance payment to replace the foodstuffs lost through the smoke damage. The third food distribution centre has been running now for a few weeks and serving customers in that area. Many thanks to the volunteers who have got this up and running. We continue to find homes for various items of furniture, white goods, baby stuff, etc. Because we don’t have warehouse space we pass the information on and see the gifts finding new homes. 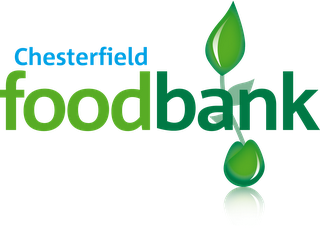 Will you give £5 a month to enable Chesterfield Foodbank? We have been overwhelmed by your generosity. The continual stream of food coming into our warehouse is a humbling sight to behold. Unfortunately for a project like this to continue to support the most vulnerable in our community financial support is now a pressing concern. Just £5 a month will support this greatly needed work and with many people around Chesterfield still geographically restricted your donations will reach out into the unreached places. Seeding 'Emergency Food Boxes' for those in remote, deprived areas such as Mastin Moor. with your postal address for a '200 club' leaflet. Thank you!